Coming in at No. 7 in our top 10 stories of 2017 is Phil Ivey losing $19 million in "edge sorting" court cases. This year's Top Stories are brought to you by the VerStandig Law Firm, LLC. Combining a keen understanding of the gaming world and an equally keen understanding of the law, Mac VerStandig and his colleagues are devoted to fighting on behalf of the poker community and its members. 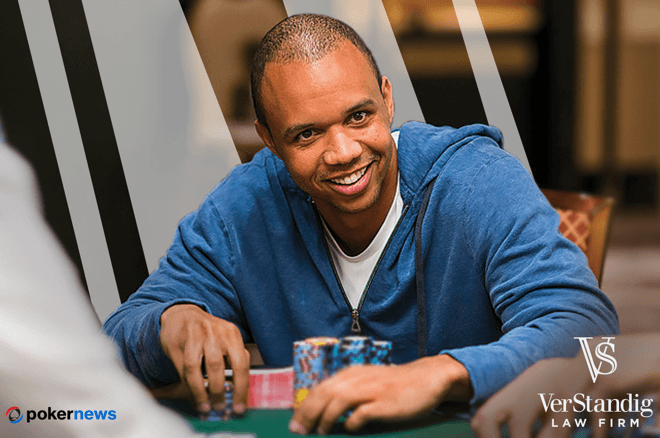 Phil Ivey is a name that has always been in the headlines. For the most part, whenever Ivey’s name appeared on PokerNews, it was because he had emerged triumphant from a huge cash game, or taken down yet another tournament. Over the past few years, however, Ivey has been the talk of the town for all the wrong reasons. PokerNews reported news that Ivey was in the process of suing the Genting-owned Crockfords Casino for £7.8 million back in July 2013. The then nine-time World Series of Poker bracelet winner had been playing Punto Banco, a form of baccarat, at Crockfords Casino in London during August 2012. "I am deeply saddened that Crockfords has left me no alternative but to proceed with legal action, following its decision to withhold my winnings." Ivey is said to have been playing for £50,000 per hand with a “beautiful Oriental woman” and was stuck for £500,000 during his session. Ivey and his partner were granted permission by the casino’s management to increase the stakes to £150,000 per hand. The pair went on an extraordinary winning streak that resulted in Ivey not only winning back his initial losses, but finishing with £2.3 million profit. It is thought that Ivey returned to Crockfords the following night and finished a total of £7.8 million ahead. The casino, however, decided to withhold Ivey’s winnings. “Over the years I have won and lost substantial sums at Crockfords and I have always honoured my commitments. At the time, I was given a receipt for my winnings but Crockfords subsequently withheld payment. I, therefore, feel I have no alternative but to take legal action," said Ivey of Crockfords' failure to pay him the £7.8 million. Ivey vigorously denied he and his partner, identified only as Kelly, had cheated the casino, although he admitted the duo had used something called “edge sorting” to help them identify cards. Kelly was later identified as Cheung Yin Sun. According to the Daily Mail newspaper, which managed to get hold of Ivey’s court submission, Ivey and Kelly made several requests for decks of cards to be changed at the end of hands and Crockfords complied. Kelly and Ivey were able to identify a deck or decks of cards where the pattern on the reverse side of the cards was asymmetrical. Ivey maintained his claim that Crockfords’ owners were aware of how edge sorting worked and that they should pay him his £7.8 million winnings as they only had themselves to blame for allowing Ivey and Kelly to work the deck in their favor. During 2014, Ivey won his 10th WSOP bracelet and also found himself embroiled in another baccarat court case with the Borgata Hotel Casino & Spa in Atlantic City. It was in Oct. 2014 that Judge John Mitting determined that Ivey’s “edge sorting” technique constituted cheating under civil law and he ruled in favor of Crockfords Casino. Ivey and his legal team launched an appeal and in Nov. 2016 the Court of Appeal again ruled in favor of Crockfords. Lady Justice Arden and Lord Justice Tomlinson dismissed the appeal, but Lady Justice Sharp said the term “cheating” was misconstrued by the initial judge, Judge John Mitting. In February 2017, the UK Supreme Court granted Ivey permission to once again appeal the Crockfords case. The Supreme Court is the United Kingdom’s highest court of appeal for civil cases and only reviews cases of general public importance. Five Supreme Court judges unanimously upheld the Court of Appeal’s decision in Nov. 2017, which meant Crockfords did not have to pay Ivey the £7.8 million he believed he was owed. Ivey had lost another appeal. Lord Hughes of the Supreme Court explained that Punto Banco was a game of pure chance with neither the player nor the casino being able to beat the randomness of the cards involved. “What Mr. Ivey did was to stage a carefully planned and executed sting, which further suggests opposing ideas of what constitutes ‘cheating’ in the minds of the parties involved,” said Lord Hughes to the BBC. This has been a landmark case in how the courts approach cheating in the modern day. The Supreme Court’s ruling came less than a year after U.S. District Court Judge Noel Hillman ordered Ivey and Sun to pay back $10.1 million ($9.6 million stemmed from baccarat winnings) to Borgata Hotel Casino & Spa in Atlantic City. Judge Hillman ordered the $10.1 million must be returned in order to get the casino and the players back to the state they were in prior to Ivey and Sun’s other “edge sorting” baccarat win. This included some of Ivey’s other winnings at the casino, including profits made from playing craps. While the judge reiterated he did not believe Ivey had broken the rules of baccarat nor had he committed fraud, Ivey had breached the casino’s contract with his edge sorting technique and was therefore not entitled to his winnings. Ivey has shied away from the limelight since the conclusion of his court cases, but in Nov., 2017 revealed he had been playing cash games in Macau and Manila, and planned to return to the live circuit during 2018. This is great news for Ivey’s fans and fans of poker in general because the game needs its biggest stars performing on the biggest stages. The VerStandig Law Firm, LLC represents poker professionals, sports bettors and advantage players across the United States. The firm assists clients in connection with legal issues including personal LLC formation and operation, tax planning that focuses on gaming deductions and exemptions, casino disputes, and personal matters spanning from divorce to criminal dust-ups. 5 Top 10 Stories of 2017, #5: Online Poker Advances in the U.S.